Part marking is crucial for reliable traceability and safety of industrial products. But how do manufacturers ensure that their products are marked reliably and in zero-defect quality? How to optimize the marking process and turn the industrial part marking into a more efficient process? How do manufacturers implement identification requirements and mark their products compliant with regulations, e.g. with the UDI directive? 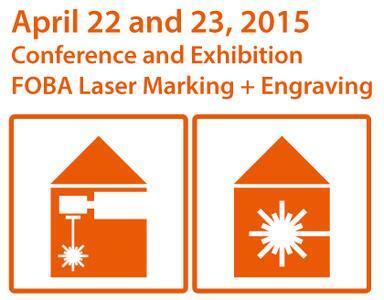 These questions will be answered at the international Conference and In-House Exhibition of FOBA, international manufacturer of precision laser systems for marking and engraving. The focus will be on medical and automotive applications. Particularly in medical and automotive industries manufacturers are obliged to mark their products permanently and precisely to meet the high standards of product safety, process reliability, traceability and quality management. Additionally, they have to comply with legal requirements and regulations, such as FDA's (Food and Drug Administration) Unique Device Identification directive (UDI). 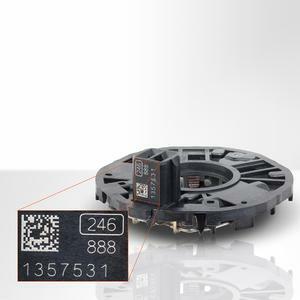 But only permanently readable markings guarantee to trace back products reliably, only if markings are correctly positioned, highest product quality, minimum scrap and lean production can be achieved. 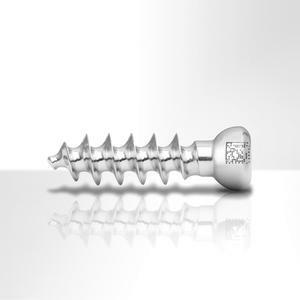 Regarding product safety and readability of the marking, also the products' life cycle has to be taken into account: Resistance to corrosion as well as to cleaning and sterilization procedures are decisive criteria for manufacturers. 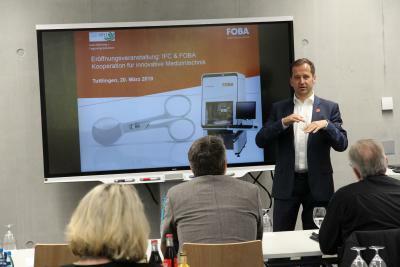 Visitors of the second international FOBA In-House Exhibition and Conference will discover how manufacturers meet the various requirements for the identification of their products in a reliable and efficient way. Together with international partners like GS1 Germany, Elmicron/HIBC, KavoDental, MicroPort Orthopedics, MKK GmbH/CitriSurf, MT-Vision and WEBECO, FOBA presents an event which is focused on industry's needs. The program deals with solutions for part marking with laser in the light of traceability, identification regulations as well as with the move toward vision-based manufacturing and zero-defect markings in order to achieve lean manufacturing. 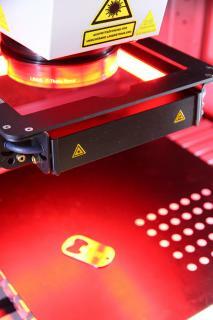 Expert lectures and the accompanying exhibition will provide insights into latest developments for optimized laser marking processes and demonstrate how manufacturers profit from vision-based laser technology in medical and automotive industries. Furthermore, the implementation of current identification and traceability regulations (e.g. marking of codes for traceability and UDI-compliance) will be discussed, as well as procedures for corrosion resistant markings on stainless steel, laser marking effects on plastics and solutions for global unique labelling in automotive industries. 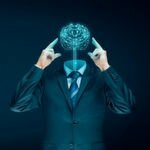 "Particularly in our business, the personal contact and detailed application consulting are indispensable. With a mix of lectures, trade show and consulting, the event provides a powerful platform to get the latest information about the implementation of marking / identification requirements and about future developments in the field of direct part marking with laser", says Frank Rehmus, European Sales Manager at FOBA. 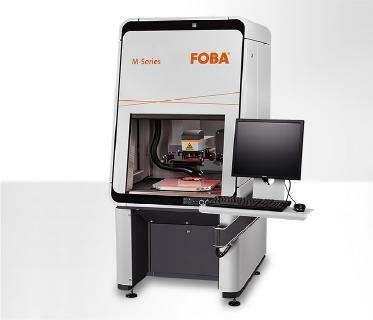 At the trade show which accompanies the conference, visitors will get the chance to discuss their special application demands with experts and discover live demonstrations at FOBA's M-Series laser marking machines. Furthermore, the laser marking process HELP (Holistic Enhanced Laser Process) will be shown during live demos: The closed-loop laser marking process, developed by FOBA, provides process reliability before and after marking, OCV (Optical Character Verification) and validation of the marking with the machine-integrated vision system. Conference and In-House Exhibition "Vision-based part marking with laser"
For further information about FOBA, have a look at www.fobalaser.com. FOBA Laser Marking + Engraving is among the leaders in manufacturing and supplying precision laser systems for marking and engraving. 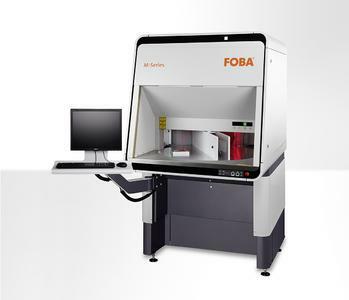 FOBA marking lasers mark a variety of materials and parts not least in the key markets of Electronics, Automotive, Plastics, Medical, Safety and ID. 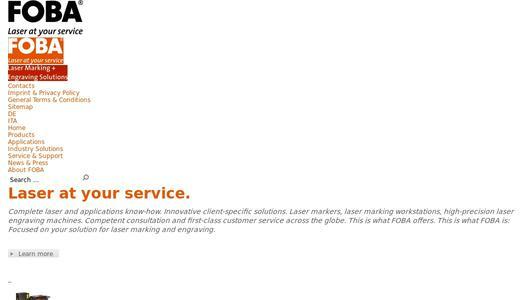 FOBA laser engraving machines are especially applied in the fields of Tool, Metal and Mold Making, Medical Technology, Jewelry and Coinage. Worldwide sales and service branches service the most important markets.